So the signatories to this include the GOP presidential contenders Marco Rubio, Ted Cruz, Rand Paul, as well as leading Republican congressmen Mitch McConnell and John McCain, and also Lindsey Graham. 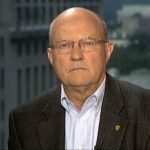 Now joining us to discuss this is Colonel Larry Wilkerson. Larry is the former chief of staff for U.S. Secretary of State Colin Powell. He’s currently an adjunct professor of government at the College of William & Mary. Thank you so much for joining us, Larry. PERIES: So, Larry, if Congress is not allowed to have their say in the final nuclear negotiations with Iran, don’t the Republicans have a argument or a point here that they couldn’t intervene and that President Obama has proceeded unilaterally here? Do they have a point? WILKERSON: Interesting that they should bring up such a point as you just expressed it, though, since that’s what George W. Bush did periodically for eight years. But let’s go to a bigger issue here. First of all, under Article One and Two of the Constitution, with One dealing with the Congress, the legislature, and Two the executive, it is clear that both bodies have some foreign-policy responsibilities. And congresses are not limited to those just clearly enumerated as in approving treaties in the Senate, two-thirds vote, or in advising and consenting on presidential appointees involved in the national security or foreign policy arena. There are other ways, too, the most prominent way of which–and demonstrated by Congress from time to time–is the power of the purse. So Congress does have a role in U.S. foreign policy. And there’s no question that the executive does. The question becomes then how it executes that role. Now, with Ronald Reagan you may recall it executed that role in such a way, with the power of the purse being the premier method, that it almost brought his presidency to impeachment proceedings over the so-called Iran-Contra Affair. Congress had said, you will not provide lethal aid to the Contras, and Reagan did. And it almost brought his presidency down. In terms of these current negotiations under the Joint Plan of Action, it’s clear that–and I think there is much precedent for this in the past, that the president has the negotiating role. He’s involved with allies. He’s involved with other members of the Permanent Five, like China and Russia. It’s an extraordinary combination, actually, that’s doing this negotiating. And he’s involved with Iran. So we have the permanent five plus one (Germany) and Iran involved in these negotiations, with the principal character, if you will, for the United States being the executive branch of the president of the United States, John Kerry, and of course the negotiators from the State Department and elsewhere. This is quintessentially presidential action. The presidential action comes to a closure, it comes to an agreement, or it doesn’t come to an agreement. And then the Congress has the power to weigh in. It can weigh in in a number of ways, some of which have been suggested, for example, by the Corker-Menendez legislation, which I think is probably bad for the agreement. It can weigh in per what the Democrats have developed, which would be simply an assessment of the agreement. It can weigh in with the purse and the power of the purse, the ultimate power of the Congress. That is to say, it can refuse to appropriate any funds for the agreement. And, ultimately, it can weigh in in a substantial way by refusing or by doing the lifting of the sanctions that will ultimately be the payoff for the Iranians if they live up to their side of the agreement. So there are all manner of ways Congress can weigh in. This, this particular letter, initiated by Senator Cotton from Arkansas, who is barely dry behind the ears in the Senate of the United States, is not a way to enter in. This I will predict is going to rebound to Senator McConnell, Graham, McCain, Cotton, the whole crew of them, going to rebound to their discredit. It is going to make, ultimately, the president’s job easier, I hope, because it is going to discredit the Senate largely, the Republican members in particular, with the American people. And it is preposterous to think that you have an almost–you’d have to get some lawyers on this, but you almost have a violation of the Logan Act, which prevents private citizens and others from conducting foreign policy, in essence. You’ve had the Republicans from time to time use the Logan Act to go after former president Carter, to go after Nancy Pelosi, for example, when she met with Bashar al-Assad. So this is a perfect example of something the Democrats should go after the Republicans for in violation of the Logan Act. They will probably never achieve anything like that, but it is an example, a specific example of just how idiotic this latest move, desperate move–desperate move–by the Republicans is to derail the negotiations with Iran. PERIES: Now, Larry, do they get away with it because it’s an open letter, not one they directly sent to Ayatollah Khamenei? WILKERSON: That’s what identifies it as what it truly is. It’s a political ploy. It’s a political ploy that’s going to backfire on them. Let’s face it: there are only about seven or eight members of my political party who currently occupy seats in the Senate and just a few who occupy seats in the House–I’d number them less than 20–whom I would call members of the Republican Party who at the end of the day are interested in the genuine security, foreign policy, and even domestic interest of this country. The rest of them are interested in power. They’re interested in their personal acquisition of and holding on to power. And they will do anything. Look at Ted Cruz. Look at Paul. Look at the whole group that stands out as the most prominent–dramatically so, sometimes–members of the Senate and the House, the Republicans in particular. They’re not interested anymore in governing. They’re not interested in the interests of the United States. What they’re interested in is making sure they hold on to power, making sure they punish the president for having been in the White House, and making sure that the next time there’s an occupant in the White House, it’s Republican. That’s their whole goal in life. They care not a whit for the United States of America. PERIES: Now, Larry, will this have any effect on the negotiations leading up to the March 31 deadline with Iran? WILKERSON: I hope not. I hope what I’ve seen already Tweeted by certain Iranians and what I’ve heard from others in a group that I’m working with for support of this diplomacy that the Iranians recognize that the United States Congress is in some cases just like their Majlis, which is their legislature. You’ve got to deal with them. They’re there. But as long as this agreement is kept in that vein, that is to say, it is an agreement–and I find it really amusing that the Cotton letter clearly recognizes that it’s an executive agreement. As long as that’s what it is, then, as I said before, the power that the Congress–very powerful power that the Congress still retains, is appropriations for the funding of the execution of the agreement and the ultimate lifting of sanctions. They can derail this agreement anywhere they want to, anyplace they want to, by those two measures. So it’s preposterous that they would want to derail it before it even becomes an agreement or as it becomes an agreement. And let me just add–I’ll say again, the reason they want to do this, at least some of them–and I put John McCain and Lindsey Graham in this camp and Tom Cotton who leads this camp–some of them want war. They want war with Iran. 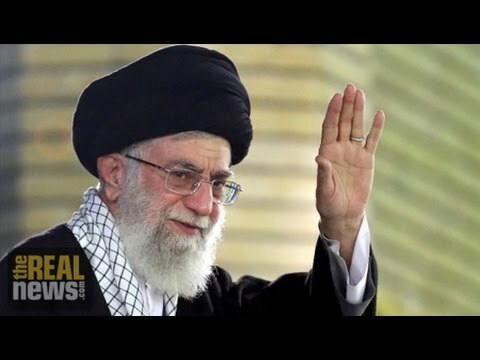 They want the military instrument to be used against Iran to change the regime in Iran and to ensure that whatever regime is there, they have no nuclear weapons capacity whatsoever. That’s their ultimate goal. I just wish they’d stand before the American people and say that, because that is a fact. PERIES: Larry, as always, thank you so much for joining us.